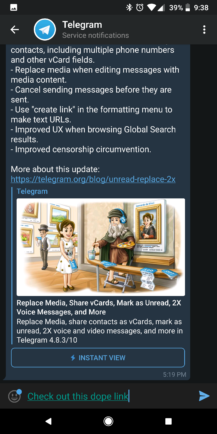 Telegram received a new update today, bumping the version number to 4.8.10. 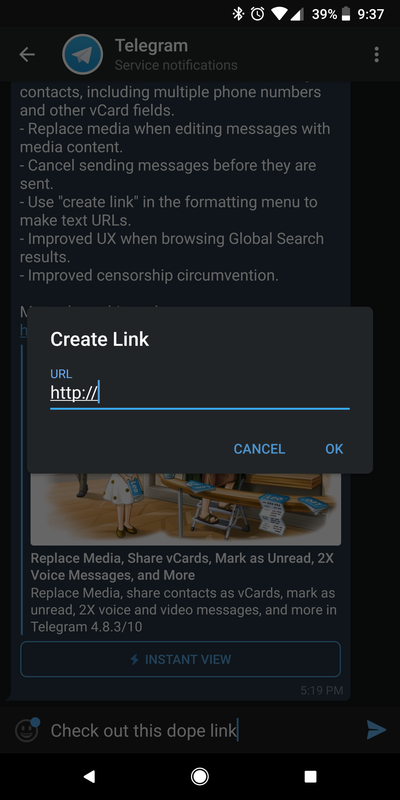 This one is fairly substantial, adding several new things like replaceable media, text hyperlinks in chat, and so on. Without further ado, let's take a look at the changelog. 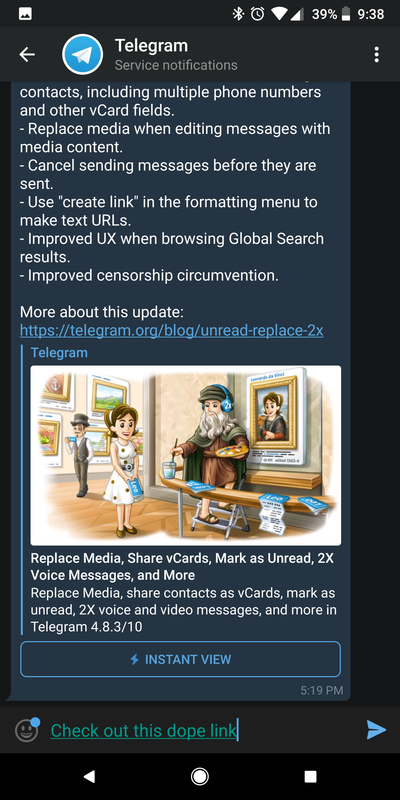 Up first in Telegram's blog post is the ability to replace media and add captions to anything that previously didn't have something. 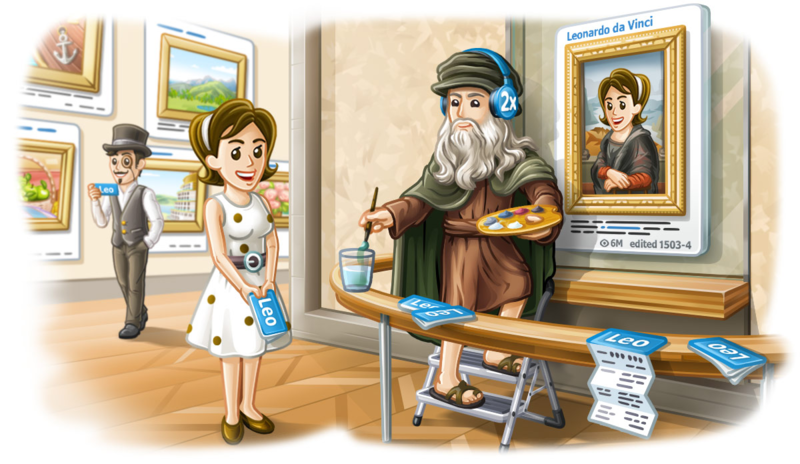 This is meant for the people who send the wrong photos, for example — just look at the gif below. 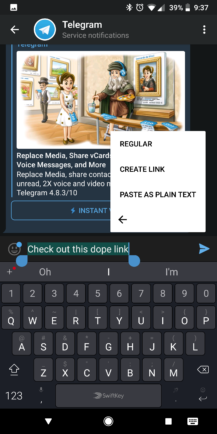 To change things out, just edit the message and select the paper clip, then the file you wanted to send in the first place. Previewing chats by holding on the profile picture in the main list, canceling messages before they're sent, and adding hyperlinks to selected text are all limited to the Android version of this update. I'm especially excited for the latter and I know that I'll be using it plenty often. 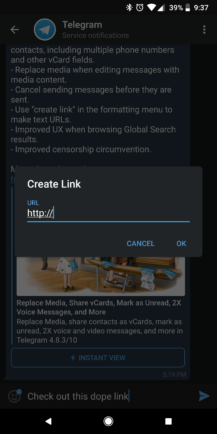 Wrapping this update up, we're getting the option of which contact vCard data to share (including multiple phone numbers), 2x playback speed with voice and video messages, mark chats as read or unread from the main menu, and returning to your Global Search results after backing out of a chat. The update should be live for everyone in the Play Store, but you can also grab it from APK Mirror if you'd like.